London is changing – do you want to be part of the revolution? Do you want to meet, listen and learn from world-class influencers in this special event? 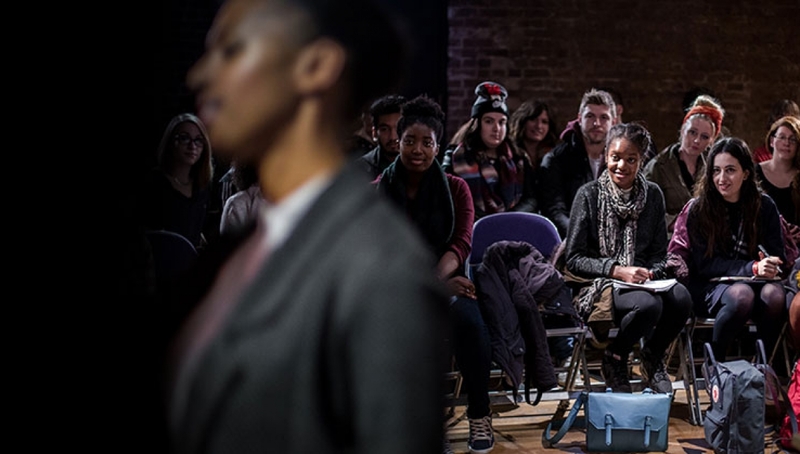 The Roundhouse has joined forces with the Evening Standard for Young Progress Makers – an afternoon of discussions and debates around key skills and themes; entrepreneurialism, campaigning and technology. Bringing together young people from across London the event is for anyone who wants to make a change in the city. It’s your chance to hear from the influencers of today – with on the day mentoring opportunities and the chance to feed in your ideas for change in the capital. There will be dynamic talks, workshops and live performances with major influencers such as London mayor Sadiq Khan, Fabien Riggall of Secret Cinema, Baroness Joanna Shields and Good Chance Theatre. As well as a host of thought-leaders and entrepreneurs there will be performances from Anita Barton Williams, Benna, Awate, Alula, Madi Maxwell-Libby and the Young People’s Laureate for London, Caleb Femi. This is an event for 18-30 year olds. If you require a BSL interpreter please let us know by Friday 6 January and we can book this service for you. Latecomers will be admitted at a suitable break.